Greetings from your geared-up WoodWeek news team. This week the positive news continues for our industry, underpinned by the continued upbeat state of our markets. 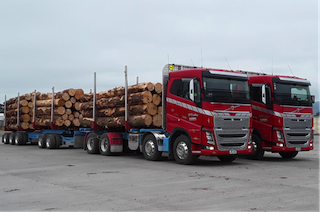 For everyone in the forest and wood products industry, I’m sure we all want to see the Kiwibuild business succeed to keep our sawmills and engineered wood plants busy. Wood energy seems to be coming back into the frame as well – with favourable consideration by Fonterra and the government. It’s got to be good for the carbon credits we so desperately need to balance on a national scale. In Wellington last night, the primary sector employer awards ceremony was the place to be. More good news for our industry with winners and recognition for Forest Protection Services and Ruapehu Agricultural Developments. Innovatek has launched registrations online for two of our key technology conferences in 2019. MobileTECH and HarvestTECHX are now open for delegates to register at great rates – don't wait because these deals won’t be available for much longer. Drone planting of seeds – Now, here’s a story that is being talked about and tested in a number of places. Earlier this year, DroneSeed was awarded the first multi-craft, over-55-pounds unmanned aerial vehicle license ever issued by the FAA. Its custom UAV platforms, equipped with multispectral camera arrays, high-end lidar, six-gallon tanks of herbicide and proprietary seed dispersal mechanisms have been hired by several major forest management companies, with government entities eyeing the service as well. From the “Go big or go home” department – Thumbs up to McCarthy Transport for their two new purpose built 58 ton gross units on the road to cart from their Pakihi Log Storage yard in Carterton to CentrePort in Wellington. These units will reduce the number of trucks going over the Rimutakas each day. Finally, if you have experienced problems starting a subscription or placing an advertisement online with us – please call either of our offices and we will help you get it sorted. We have encountered a few gremlins which our IT crowd are bug fixing as they come to light – please let us know and we will put it right asap. ... and finally ... ever wondered about gold? Government and Industry Back Wood Energy - Energy and Resources Minister Megan Woods, has given a resounding endorsement for bioenergy, saying “wood energy will make a significant contribution” to New Zealand’s transition to a low emissions economy, as she formally opened Fonterra’s wood energy co-firing system in Nelson yesterday. Lifecycle emissions from wood energy, she noted, are a mere 2-4 percent of those produced by coal and gas, which fuel most of New Zealand’s process heat. The Minister outlined that the Coalition Government’s heat action process plan will seek to “increase the uptake of wood energy” amongst other technology, to reduce New Zealand’s global emissions, in accordance with the Paris Agreement. Also attending the launch, Andrew Caseley, Chief Executive of EECA, which contributed $250,000 to the Brightwater project, congratulated Fonterra for championing the move to renewable wood energy, thereby “showing large industrial processors that such initiatives will work and are part of the future”. He added that we have a significant challenge to convert these processors off fossil fuels and onto renewables, such as biomass. Brook Brewerton, General Manager of Azwood Energy, which supplies wood energy across New Zealand and wood fuel for the Brightwater plant, said Fonterra’s forward- facing decision to co-fire with woody biomass demonstrates “that co-firing, on a commercial scale, is a viable option to reduce our emissions and meet our 2030 and 2050 targets”. Brewerton pointed out that the wood energy used yearly at Brightwater alone will remove 2,000 tonne of wood residue from forestry slash sites, waste that would otherwise provide fuel for forest fires and contribute to erosion events, causing damage to waterways and freshwater ecosystems in extreme weather events. “Biomass is a proven technology with a long-term, secure, mapped supply strategy,” said Brewerton, who predicts its use could drastically reduce New Zealand’s emissions in the next five years. Speaking on behalf of Fonterra, Head of Manufacturing, Alan Van Der Nagel, thanked Azwood Energy for contributing to the 2017 trial, which facilitated the fuel- switching. Van Der Nagel said widespread benefits would accrue from the Brightwater conversion, with learnings to be applied to a “longer-term co-firing strategy for other boilers across the country,” in accordance with Fonterra’s 2017 Road Map to Transition to a Low Emissions Future. These drones scout a burned area, mapping it down to as high as centimetre accuracy, including objects and plant species, fumigate it efficiently and autonomously, identify where trees would grow best, then deploy painstakingly designed seed-nutrient packages to those locations. It’s cheaper than people, less wasteful and dangerous than helicopters and smart enough to scale to national forests currently at risk of permanent damage. At their headquarters near Ballard, complete and half-finished drones sat on top of their cases and the air was thick with capsaicin (we’ll get to that). McCarthy Transport have put two purpose built 58 ton gross units on the road to cart from their Pakihi Log Storage yard in Carterton to CentrePort Ltd. These units will reduce the number of trucks going over the Rimutakas each day. The purpose of these heavy trucks is to have four standard units cart 44 ton gross into their yard (28 ton pay load) and then the 58 ton gross units taking 38 ton pay load to the Port, 10 extra ton adds up over the year. These new units are purpose built by McCarthy Transport Engineering and feature the latest safety technology from Volvo Trucks. A first for McCarthy Transport is the EXTE auto tensioning winches, this ensures the load is under constant restraint and the drivers don’t have to stop and do this manually. Thanks Steve McDougall and Paul Teddy for the photo and info. We were saddened to hear of the premature passing of one of our industry's well-known advocates - Don Finnegan. Our thoughts go out to his family and friends. Don worked in many forest equipment sales roles as well as becoming a forest and logging manager in later years. 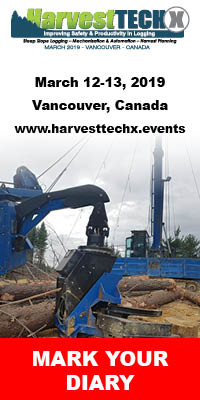 He was a keen promoter of all things forestry and logging for over 48 years. FINNEGAN, Donald Joseph. Born September 25, 1952. Passed away on November 27, 2018. Don passed away at home surrounded by family. Loving husband to Christine, father to Aaron, grandfather to Jamie-Lee and Brodie , great -grandfather to Nevaeh, poppa Don to Charlie-James and Cammy, brother to Mike, Pete and Jude. Christine and family thank the wonderful friends and neighbours for their support during Don's recent illness.Special thanks to Waikato Hospital, Hospice and District nurses. 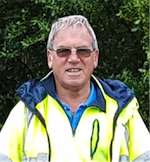 The Family invites you to come and remember Don at his home this Saturday 1st December, 2pm, 265 Horahora Road, Piarere (north of Tirau). In lieu of flowers, donations to Waikato Community Hospice Trust would be preferred. Emergency Caller Location Information Enhancements To Keep Kiwis Safer - MBIE has partnered with software service providers to help emergency services locate emergency 111 smartphone calls more quickly and accurately. Late last week the New Zealand Minister of Broadcasting, Communications, and Digital Media, Hon. Kris Faafoi, announced Phase 2 of the Emergency Caller Location Information (ECLI) service. In partnership with Datacom, MBIE will help enhance the service to provide high-precision geo-location information for 95 per cent of all emergency 111 smartphone calls, amongst a host of other improvements. “Each year there are more than a million calls to emergency services. In many cases callers are lost and don’t know where they are, or are unable to share that information due to disability or injury. Quick and precise caller location can be the difference between being rescued safely, or someone being in a potentially life threatening situation,” Greg Davidson, Group CEO, Datacom Group said. At the centre of the ECLI system is the Location Area Service (LAS), designed, built and supported by Datacom. When a person dials 111 on their mobile phone the best available location is automatically sent to LAS, which processes the information and provides it to emergency services to assist in verifying a callers location. LASis built on Datacom’s own services, including Datacom SMS gateway, Datacom’s All-of-Government Infrastructure-as-a-Service (IaaS) and Datacom’s Telecommunications-as-a-Service (TaaS) platforms. These allow custom API integration with all of New Zealand’s mobile networks, including Google Android and Apple’s iOS smartphones. In the first 12 months since its May 2017 launch the ECLI system was used to help verify locations of nearly 400,000 emergency calls. When these enhancements are completed by mid-2020 it is expected that a high-precision location will be provided for 95 per cent of 111 calls from smartphones. Don't count your chickens - have a look at the chart below. It's doubtful anyone would have ever forecast almost three straight years of growth in log exports, but that's exactly what's happened. How long this can continue is anyone's guess, but there is plenty of information about what may come if you want to pay for the vision from your favourite forecaster's in-market and in-depth analysis. On one hand, it appears that New Zealand is one of last non-tariff suppliers of softwood logs to China, now that Russia and USA have tariffs in place to balance their trade somewhat in favour of exporting lumber instead, in Russia's case. Canada prefers to sell lumber for western-style housing there, with plenty of subsided support from Canadian market groups on technical guides to do so. On the other hand there is plenty of forest establishment in the pipeline across the vast continent of China, so one day the tide may start to turn on demand for our logs. Once again, thanks to the team at Champion Freight for their exclusive supply of this information to WoodWeek subscribers. Monthly imports hit a record $6.2 billion in October 2018, Stats NZ said today. This is the first time imports have hit $6 billion. The previous high was in September 2018. “The value of goods imports has been at a generally high level in recent months, with the New Zealand dollar declining and higher crude oil prices,” international statistics manager Tehseen Islam said. Import values for the October 2018 month were $758 million (14 percent) higher than in October 2017, with the rise spread across a range of commodities. Petroleum and products were the main contributor, up $257 million (68 percent). Crude oil led this rise, up $196 million (72 percent) in value and 16 percent in quantity. Petrol and diesel rose $62 million. An industry commentator said that imports of petroleum products tend to fluctuate from month to month. “In recent months value and quantity have been at high levels.” In May 2018 the Marsden point refinery shut down for maintenance. Other notable rises included electrical machinery and equipment up $90 million in October 2018, led by cellphones. 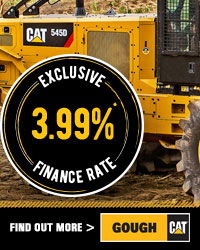 Mechanical machinery and equipment rose a similar amount. Kiwifruit boost exports in October - Total exports in October 2018 rose $303 million (6.6 percent) to $4.9 billion compared with October 2017. Exports were at their highest level for an October month. “Fruit exports led this month’s increase, due to unusually high kiwifruit exports for an October month,” Mr Islam said. The total value of fruit rose $118 million (137 percent) to $204 million, led by kiwifruit (up $112 million). Kiwifruit exports are typically low in October, so both value and quantity in October 2018 were up sharply when compared with the same month last year. Green kiwifruit was up $71 million, with green kiwifruit exports to both the EU (up $38 million) and Japan (up $12 million). Other notable rises were in sheep meat, up $56 million (27 percent) and untreated logs, up $51 million (17 percent). Milk powder, butter, and cheese (our largest export commodity group) fell $43 million. • total goods imports at $6.2 billion. • total goods imports for the year ended October 2018 at $63.0 billion. Last week, Research, Science and Innovation Minister Megan Woods announced a funding increase of $13.75 million over three years for research to combat the spread of kauri dieback and myrtle rust. “We know that addressing these challenges will require more than just three years of funding, however this surge investment allows more time to seek additional funding sources in the near future. 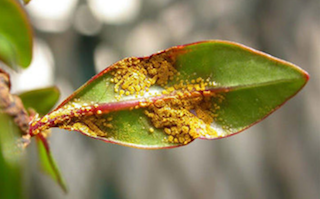 Research funding for myrtle rust will total $5 million over three years, with research for kauri dieback receiving $8.75 million. 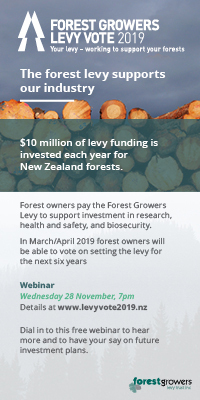 This is on top of previous research funding of $6.9 million for myrtle rust and $4.7 million for kauri dieback allocated in 2018/19. Think about that for a moment. One gram (0.035 oz) is equal to the mass of a small paper clip. This small amount of gold is usually not even in one place – it is dispersed through a tonne of rock and dirt in smaller amounts, most of the time invisible to the naked eye. It’s hard to believe that such a small amount of gold could be worth so much, and that is why great visualisations can help us understand the rarity of this yellow metal. Luckily, the folks at Demonocracy.info have done the heavy lifting for us, putting together a series of 3D visualisations of gold bullion bars showcasing the world’s gold that has been mined thus far. Note: these visualizations are a couple of years old and optimistically have the value of gold pegged at US$2,000 per oz, presumably for the ease of calculations.